Mode of action: The imbalance between the normal and pathogenic microorganisms often occurs with antibiotics, inappropriate diet, gastric surgery. Hilak normalizes the pH, which promotes the growth of beneficial intestinal microflora and suppress the growth of pathogenic and opportunistic microorganisms. 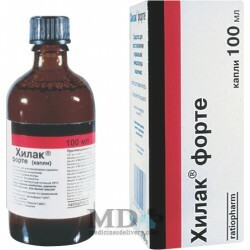 The structure is hilak biosynthetic lactic acid, which normalizes the secretory function of the stomach, which improves digestion and prevents the growth of pathogenic organisms. Included in the drug waste products of lactobacilli, streptococci and E. coli have a beneficial effect on the mucous membrane of the small intestine and colon and restore its normal microflora. Hilak promotes the growth of acidophilic microorganisms, which is an antagonist of salmonella, so the use of the drug is possible in the treatment of Salmonella infection for faster eradication of the pathogen. 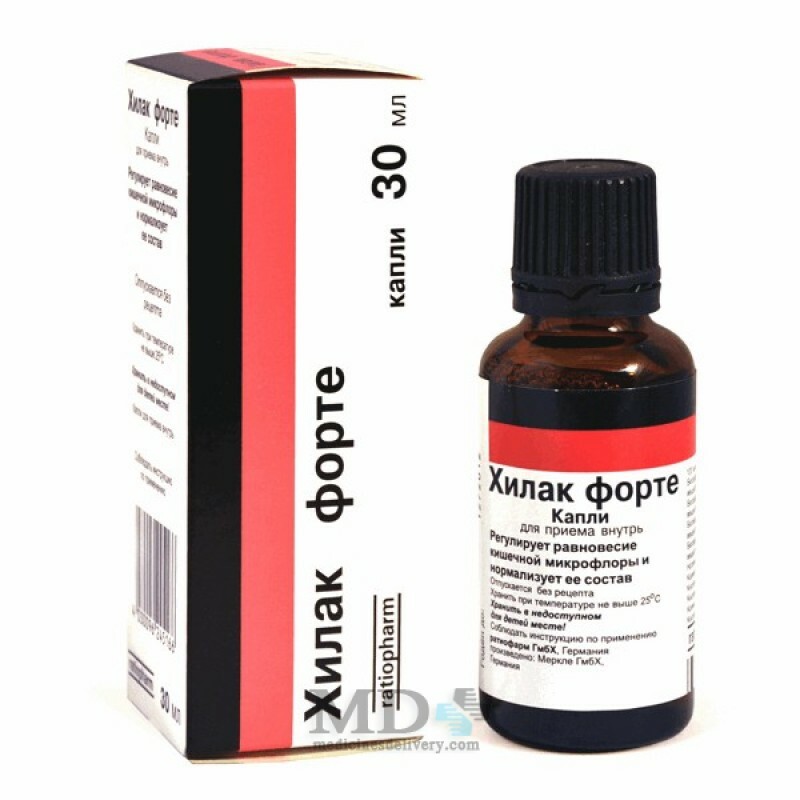 The drug has no systemic effects, as is not absorbed into the bloodstream, acting only in the intestinal lumen. - State, after infectious diseases, including young children. Drops Hilak taken before or during meals, after dissolving in a large amount of fluid (except milk), 3 times a day. 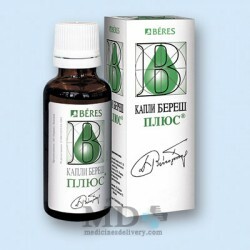 - Children from birth up to 2 years - 15-30 drops. Once the condition improves, it is recommended to reduce the dose twice. Very rarely possible allergic to the ingredients of the drug. Individual intolerance to one of the components of the preparation. Pregnancy is not a contraindication for prescribing Hilak. It is not advisable to use antacids at the same time as there may neutralize lactic acid, which is part of the preparation Hilak. In case of overdose shown only medical supervision. Hilak drop vial 30 ml and 100 ml. Store in a place protected from sunlight at a temperature not exceeding 25 degrees Celsius. Additional substances: sodium monohydrogen seven-water, potassium monohydrogen phosphate, lactic acid, phosphoric acid, potassium sorbate, citric acid monohydrate. Do not take a drop of undiluted. Do not take a drop of milk at the same time. 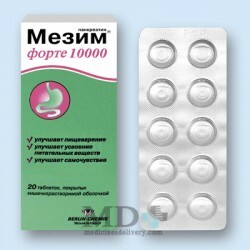 With care given to patients with high acid-forming function of the stomach.